Navtej Singh Sarna, India's Ambassador to the US since November 2016, is retiring later this month after an illustrious career spanning 38 years. The outgoing envoy said the US visit of PM Modi last year gave tremendous impetus to the Indo-US ties. 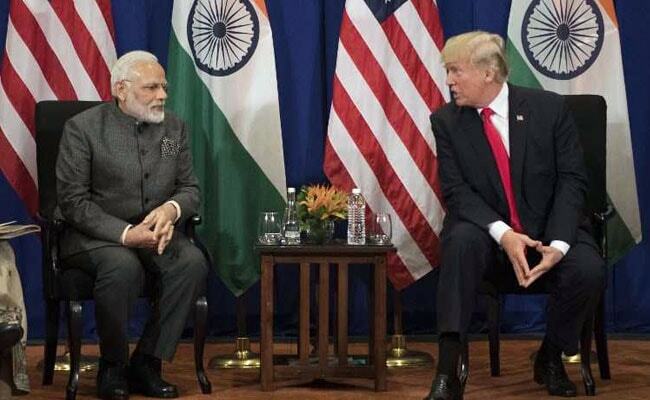 There is a stark difference in India's relationship with the US since the 1998 nuclear tests and bilateral ties are now very good, the outgoing Indian envoy has said. In his previous stint in the US from September 1998 to June 2002, Mr Sarna served as the minister/counsellor at the Indian Embassy in Washington DC. During that time, US had imposed sanctions on India in the aftermath of the nuclear tests. "Well, it's night and day, if I can say that," Mr Sarna said in response to a question when asked about the difference in the India-US relationship in the past 20 years. After the nuclear tests, he said though the country faced US sanctions, there was new respect and understanding for India. "There was a new understanding of India's potential as an economy.... There was a new understanding of India's power as an IT, particularly around Y2K, when suddenly Indians were the ones who were sorting out major problems. And there was an understanding that India had to do its nuclear tests because it lived in a tough neighbourhood," he said. Mr Sarna said the visit of the Prime Minister Narendra Modi to the US last year gave tremendous impetus to the bilateral relationship. Describing PM Modi's visit to US as the highlight of his ambassadorship, Mr Sarna said the visit was a tremendous success. "Today, I think the relationship is in a very good place," he told the select audience. Referring to the recent visit of Defence Minister Nirmala Sitharaman, Mr Sarna said India-US defence relationship has strengthened under the Trump administration. Early this year, he pointed out, the US renamed one of its command as US Indo-Pacific Command. India was given STA-1 Status, he said adding that this is the long run, perhaps may be a hugely significant step. It is very satisfying that India is the only non-NATO country in that category to date. India was given the Strategic Trade Authorisation-1 (STA-1) status in August, paving the way for high-technology product sales to the country, particularly in civil space and defence sectors. In his remarks, Mr Sarna urged the business community, one of the prime drivers of the relationship, to create and sustain good feelings about India across the United States. Mr Sarna also served as the longest-serving spokesperson of the Ministry of External Affairs and country's Ambassador to the United Kingdom and Israel.